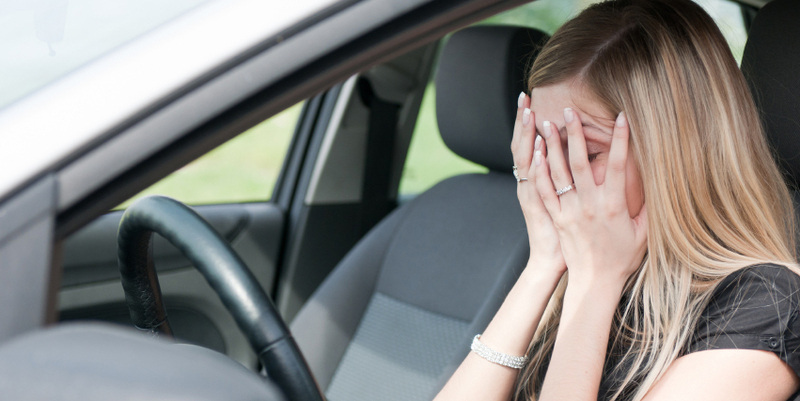 Can Post-Traumatic Stress (PTSD) Affect Driving? The human brain is capable of keeping us alive through intense, extreme situations. From car wrecks and domestic abuse, to stalking and shoot-outs, we can survive horrible things. However, just like physical trauma, mental and emotional trauma leaves wounds in the psyche. Sometimes they heal over, and you'd never even know. Other times, though, the trauma leaves deep, painful scars. When those scars interfere with your daily life, the condition is called post-traumatic stress disorder. Isn't PTSD Just For Soldiers? When people think of post-traumatic stress disorder, they tend to think of returning combat veterans. Whether it's pop culture depictions like what we saw in Rambo: First Blood, or nightly news stories about the numbers of soldiers returning from Iraq and Afghanistan who are dealing with this condition, it's something we think of as exclusive to warriors. Sometimes we admit that it may be common in police officers, as well. However, being in a war zone is just one instance where the constant tension, stress, and regular infusions of adrenaline can leave lasting effects on someone's mind. Because everyone reacts to trauma differently, it's impossible to say what will, and what won't, leave someone suffering from PTSD. For example, someone involved in a mass shooting might be able to put the incident behind them, once they've had some time to recover and recuperate. Other people, though, may never be able to go to the place where the incident happened, or even other places like it, without being triggered. Nightmares, flashbacks, severe anxiety, and intrusive thoughts regarding the trauma can all make leading a normal life extremely difficult. Can Post Traumatic Stress (PTSD) Affect Driving? Post-traumatic stress disorder takes many forms, and no two sufferers show the same symptoms, or react the exact same way to the same stimuli. For example, one person who drove a convoy through a war zone might have no negative reactions to traffic when behind the wheel, but someone who was involved in a collision that resulted in the loss of a loved one might feel extreme distress whenever a truck sounds its horn. If someone suffers from post-traumatic stress disorder, they have to plan their entire lives around it. And, in some cases, they need to inform the Bureau of Motor Vehicles. According to the Houston Chronicle, there are many states, such as Texas, Virginia, Florida, and Ohio which ask applicants if they suffer from any conditions, or take any forms of medication, that might interfere with them being able to drive safely. This is far from a universal requirement, though, and in many states where there is an attempt to classify some applicants as "mentally unwell" there have been legal challenges on the grounds that the questions are archaic and unnecessary. Getting behind the wheel is always a risk. Whether you're driving down to the corner store to pick up some snacks, or you're on a cross-country road trip, there is always a chance that circumstances will pitch a fast ball at your head. As a driver, you need to know whether you're going to be able to react to that. Having PTSD doesn't mean you can't drive, or even that you're an unsafe driver. However, if your condition is triggered by driving, or you're more likely to suffer from serious symptoms when you drive, then it's important to know that, and to gauge the risk appropriately. Suffering from this condition doesn't prevent you from having a driver's license, owning a car, or getting out on the highway. But you need to take responsibility, and avoid that sort of situation, if you know there's a high risk of incident when you drive.